Thanks to advanced clinical testing, you will get consistent results - over and over again. Our DMT-489 is comfortable to use for all ages, from babies to adults. Professional quality right at your doorstep. Without compromising on the ease of use. Use the Head Mode for an indicative quickscan. Suitable for all ages. Acclimatize - Make sure you’ve been in the same room as your thermometer for a few minutes. Keep it clean - Check the lens after every use. 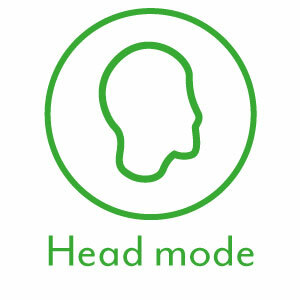 Head Mode - Hold the head button - Swipe the forehead from left to right - Release the button. Ear Mode - Pull the ear back & up - Aim at the eardrum - Click the ear button. 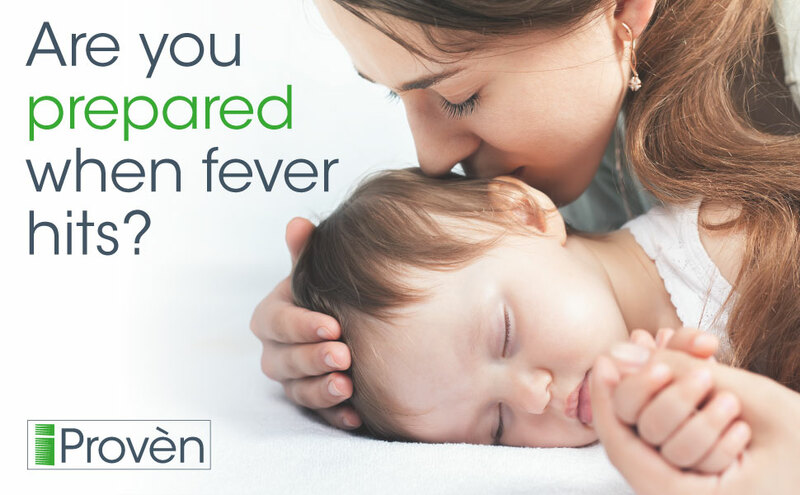 Are you prepared when fever hits? In times of need, you only want the best. For you and your family. 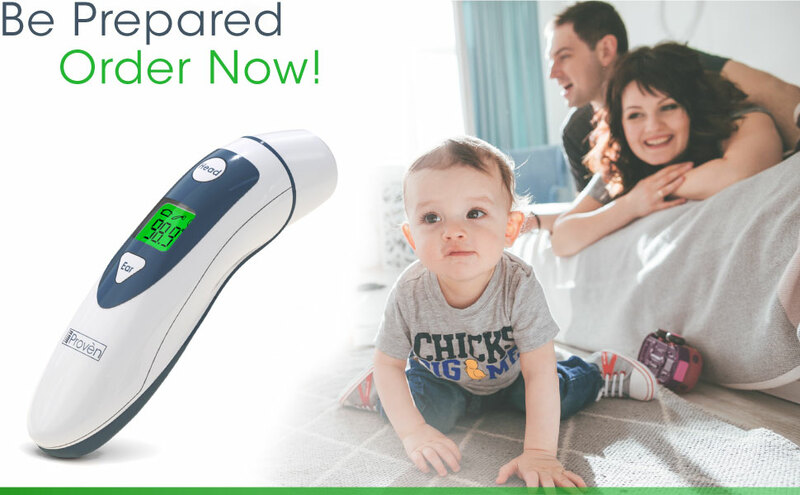 Look no further: our iProvèn DMT-489 is the solution when you're looking for a thermometer for all ages. It’s the perfect companion for parents with little children. It allows you to check the temperature of your toddler without waking them up. With the back-lit display, you can even do so at night. Of course, it also works great if you want to check your own temperature! Whether you use the head mode for getting a quick indication (holding it for three seconds) or the ear mode for getting a spot-on measurement (in one click) the thermometer will give you a measurement in no time. It has been extensively clinically tested and FDA approved. The time and effort invested in testing and fine-tuning this thermometer are enormous. The result is top medical quality. It is extremely easy to use. 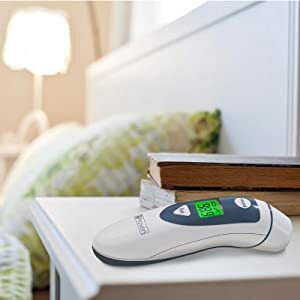 The thermometer beats all other devices in the market that you have to turn on, wait for the self-test, wait to pre-warm the tip etc. Order your DMT-489 today with peace of mind. We know you will love it. If for whatever reason you will not, we're there for you as well. 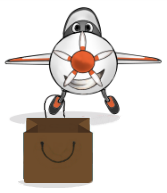 You can return your product within 100 days. No questions asked. Mohon maaf, produk Ear Thermometer with Forehead Function - FDA Approved for Baby and Adults - iProven DMT-489 - Upgraded Infrared Lens Technology for Better Accuracy - New Medical Algorithm (White Grey) sementara ini sedang habis.